Asus RoG celebrated its tenth anniversary of making PCs and components, aimed squarely at gamers, at the Join The Republic Press Event earlier today. 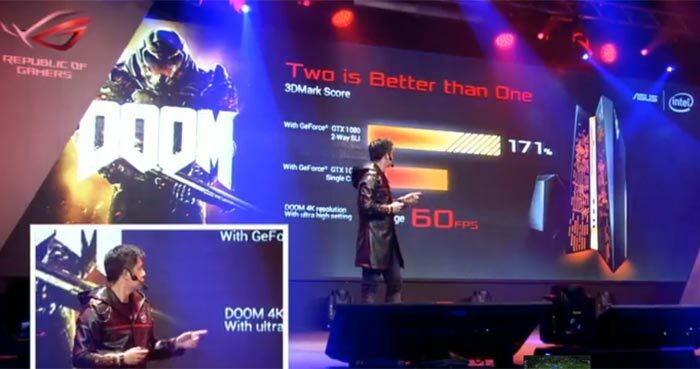 To mark this occasion Asus RoG reminisced, looking through its achievements over the years, as presented by Chairman Johnny Shih wearing a leather jacket. All very interesting but more interesting news was to follow, as Asus aimed to make a splash for its anniversary by announcing a number of stand-out new products. 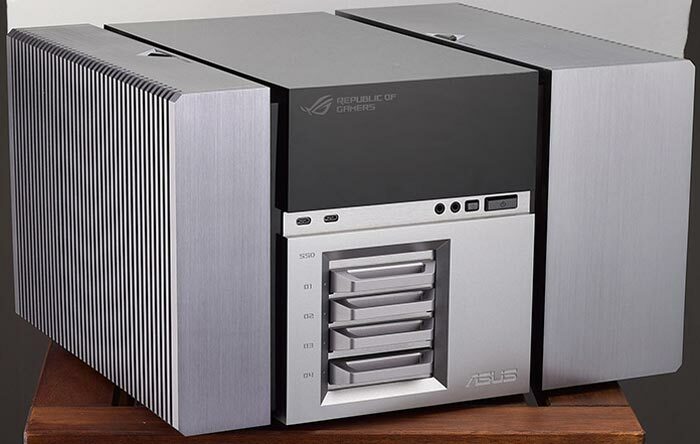 The first brand new product Asus showed off was the Project Avalon modular component PC prototype. Yes, PCs are already modular, but this new Asus PC wants to make it less fiddly with component blocks that all easily slide in/out – banishing wires, slots and screws. As Asus is one of the few makers of both chassis and motherboards it has sought to bring a closer integration and says it can thus "make PCs easier to assemble and less expensive to build". One interesting result of the integration is that the front chassis buttons, LEDs and ports are directly mounted on the motherboard, like the back panel ports are traditionally part of the motherboard that protrudes out of the back of the chassis. However, with Project Avalon, the back panel is no longer affixed to the motherboard but a modular unit choice, see below for some examples. Modules for Project Avalon will include a choice of various back panels, as shown above, and plenty of front mounting space for storage devices and more. Taking off the left side panel gets you to the space where the graphics card is installed. 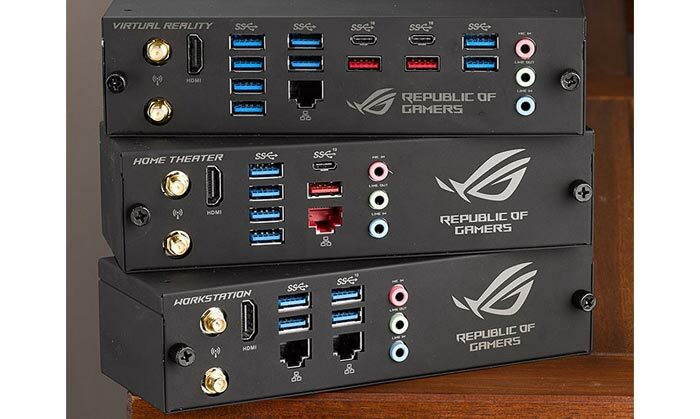 Right now you would still need to hook up power connector cables for high-end graphics cards but Asus is working on a new kind of connector to make it a plug and go device, whatever the power requirements. 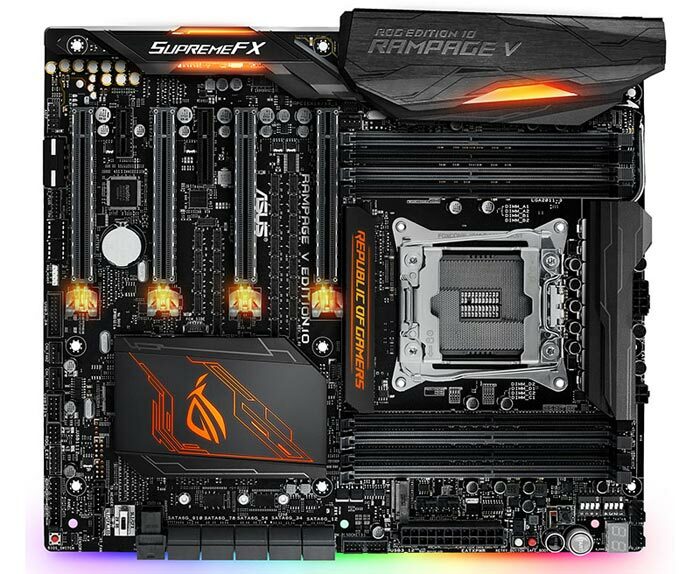 What resides in the right side panel isn't mentioned by Asus in its blog post – the PSU is in the middle section, so it's not that. Importantly Asus won't be alone in championing Project Avalon, it says it has already partnered with In Win to build chassis and today asked for more industry partners to "join the republic". After the Project Avalon reveal, Asus went back to products that are more likely to ship in the near future. Next on the agenda was the ROG G31 Edition 10, a 20-litre 10th-anniversary gaming desktop PC. It offers Nvidia GeForce GTX 1080 GPUs in SLI alongside "the most powerful CPU in the world". 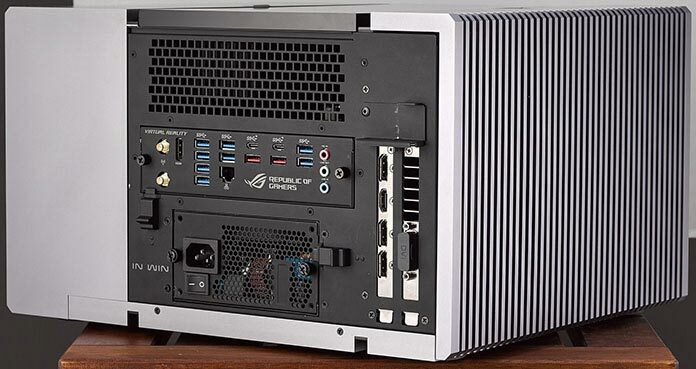 Asus promises that this setup will "cruise through 4K gaming in ultra settings". Asus has upgraded the water cooled RoG GX700 laptop to become the GX800. As with the desktop PC above, Asus is going SLI to get even more gaming performance out of the system. The extra oomph requires extra power and Asus will supply this portable with 2x 330W PSU bricks. Hydro-cooling is of course present, via the large signature cooling appendage/dock. Add in a mechanical keyboard and RGB LED lighting for niceness and you have the GX800. The Asus RoG Rampage V Edition 10 has also been detailed today for the 10th anniversary event. You can read more about this RGB lit $599 performance motherboard "for elite rigs" via the official blog post, available from Asus here. The motherboard needs more LED's. I would also like a strobe light or two on the case. Kinda weird to call the module “Home theater” without any digital audio output. With no space for an internal sound card even. I like the general idea to refresh that old ATX standard though. Just wish they would put more thought into their stuff. All these products look good and they talk a good game, but since they make a point of living for the fans and that it was the loyal fans that got them there, so have they fixed up their customer service department or is it still really bad? After my own experiences trying to get customer service off them and in one RMA instance involving rog products, being left for over a year feeling as if I was a leper, I don't even look at asus products when buying PC bits and pieces. I agree with OilSheikh - looking like a cult fest, especially with the number of people in the crowd wearing rog clothing. It reminded me of the apple shows, but at least apple has customer service, not only does it have a phone number here to ring them up, it even has lots of shops in Australia, that I can walk into. Even though I like the idea of introducing the concept of having more adaptability through modular components, I will not be impressed with their products until I know I can rely on a similar level of commitment to customer service. Also, will these modular units be designed to continue service on future generations of motherboard upgrades. To be able to reuse these components opens potential for reducing the cost for upgrading (ie- motherboard could be reduced in cost as you don't need a new I/O module to go with it), and possibly make the upgrade process easier. And how expensive are these parts going to be? What is it with some design decisions at the moment?